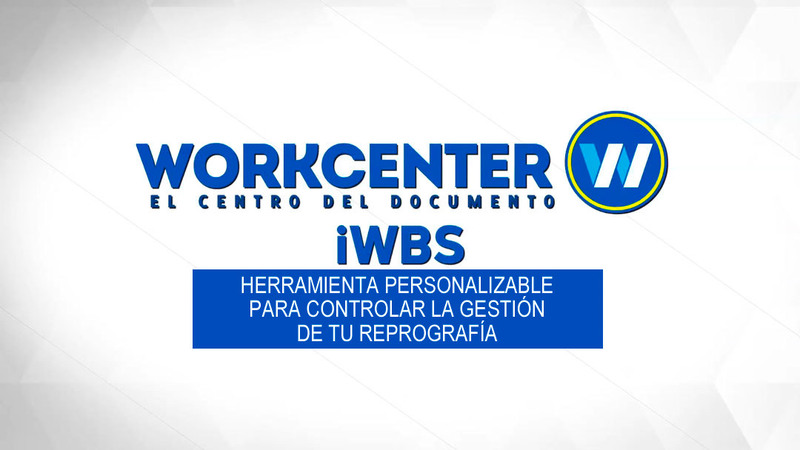 Workcenter, is Spain's largest copy centre, the leader in the sector for 18 years and with the biggest brand recognition in the printing business. We offer the most extensive design, digital printing, offset printing, event assembly, stationery and courier services. We have 21 work centers located in Premium locals, plus 3 inplant in our customers facilities. Our company is known for giving service to its customers 24 hours a day , 365 days a year , both in Madrid and Barcelona. Our in-depth knowledge of the sector led us to develop Workcenter Business Solutions, WBS, applying all our experience in resolving the specific needs of different companies. Auditing and providing solutions to streamline printing in middle and large-sized companies. Our goal is to optimise our clients' resources. To develop and maintain in-plants adapted to each company's real business needs. We adjust the client's investment by balancing internal production and outsourcing. We here in Workcenter take care of 100% of your printing needs, logistics with daily deliveries in multiple destinations and online reporting. Optimising Purchase Management through our iWBS development. Workcenter makes its cutting edge automated and preprinting process management technologies available to our clients, thereby significantly reducing costs and improving production times. Specialisation in events: we have been the official copy provider for GSM since 2007. This experience has led us to create a team specialising insetting up and managing events, staring from developing the idea up to last minute needs.